Shai Dolinsky is a highly qualified and experienced Psychodynamic & Integrative Psychotherapist who works with adults and young people and their families suffering from a wide range of difficulties, including depression and anxiety, borderline personality disorder, schizophrenic and paranoid manifestations. He also has a particular interest in eating disorders. Shai has an MA in Psychoanalytical Studies. He also has an Advanced Diploma in Integrative Psychotherapy and is a Member of the UK Council for Psychotherapy. Shai has taught psychoanalytic theory at Chelmsford Counselling Foundation, which is part of WPF. Shai is an extremely well qualified and capable clinician with a positive approach who can help clients looking for help with all kinds of psychological and emotional distress and difficulty and we are delighted to have him join us. 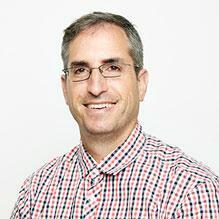 You don't need a GP referral to see Shai Dolinsky.